The I.R.S. understands this, which is why it has been pushing to break the anonymity of cryptocurrencies. In November, it persuaded a federal judge to order Coinbase, a popular Bitcoin exchange, to reveal the identity of the customers for more than 14,000 accounts (representing nearly nine million transactions). Blockchain technologies can also make it difficult for the I.R.S. to tax cryptocurrency trading profits. Here is a simple tax dodge that would be hard for the I.R.S. to prove: Suppose A, B and C are electronic addresses you own. You let the I.R.S. know you own A, but not B and C. You buy one Bitcoin at $15,000 and park it at A, expecting the price to go up. Just a few hours later, when a Bitcoin is worth $15,500, you send that Bitcoin to B and then to C.
A few months later, when your Bitcoin is now worth $25,000, you send it from C to A and tell the I.R.S., “I sold a Bitcoin to an anonymous counterparty at B back at $15,500 and just now bought a Bitcoin from another anonymous counterparty at C for $25,000.” As a result, you owe taxes on capital gains of just $500 rather than $10,000. The I.R.S. can observe all the transactions between A, B and C on the Bitcoin blockchain, but it cannot disprove that B and C are “arm’s length” counterparties (that is, independent and not colluding). Rules in the United States that require financial institutions to verify the identity of address holders do not solve the problem, because as far as the I.R.S. knows, B and C could have been set up by a foreign institution that does not comply with such rules. It is inconceivable that the government would simply accept enormous revenue losses from a larger underground economy and from tax dodges on trading profits. The only question is how heavy-handed the response would be. One approach would be for the government to accept the difficulty of directly taxing cryptocurrency transactions and to offset the revenue losses by raising tax rates. The basic economics of taxation tells us that the economic losses from taxes increase exponentially with the tax rate, so this response would transform revenue losses into a lower gross domestic product. More likely, the United States would take a tougher approach and attempt to ban cryptocurrencies. This solution throws the baby out with the bath water. While cryptocurrencies open opportunities for tax evasion and illegal operations, they also offer drastic reductions in the cost of financial transactions, especially for the poor, and less reliance on banks, which can increase the power of the Federal Reserve to control money supply and reduce the risk of bank runs. A smarter response would be for the government to switch from taxing income when it is received to taxing income when it is spent. Many economists support moving to this kind of consumption tax, but it would require a major overhaul of the tax code. The prospect of substantial government revenue losses is not just a problem for the United States government; it is also a problem for the cryptocurrencies themselves. For cryptocurrencies to survive long enough to be an effective means of performing everyday transactions, the cryptocurrency community will need to find a way to prevent tax evasion. This will involve a tricky balancing act, preserving anonymity while providing the I.R.S. with sufficient information to prevent tax evasion. More generally, cracking down on tax evasion will require that the community learn to trust government. 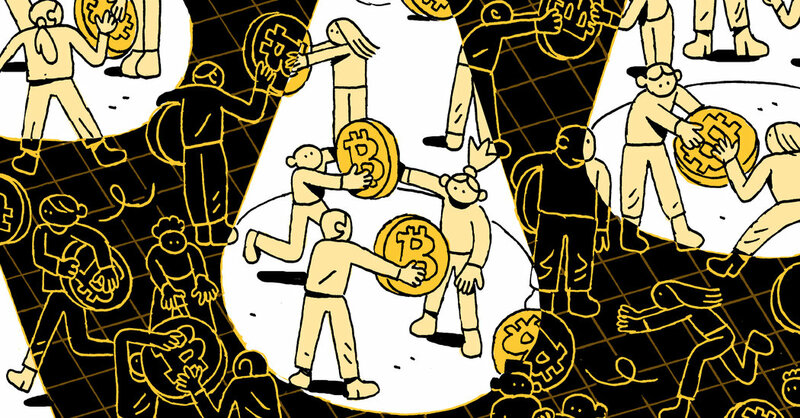 Since this goes against the very ethos of the cryptocurrency movement, it poses the most difficult — but no less necessary — challenge.